One of the key challenges when requesting emergency assistance is communication. When out in the streets, sometimes you are unsure of the exact location that you are in, which is then difficult for the rescue team to find you quickly. When one is in distress, you could be too traumatized to speak or for individuals with hearing or speech impaired, it would be tough to communicate calmly to the rescue team. 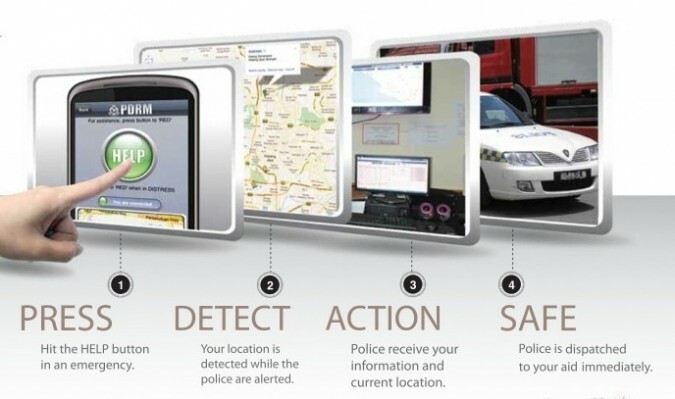 Hence, with MyDistress, you could alert the police department of your emergency situation with just a click.